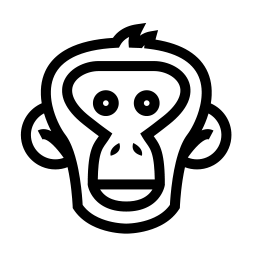 Bonobo is an ETL (Extract-Transform-Load) framework for python 3.5. The goal is to define data-transformations, with python code in charge of handling similar shaped independent lines of data. Bonobo is not a statistical or data-science tool. If you’re looking for a data-analysis tool in python, use Pandas. Bonobo is a lean manufacturing assembly line for data that let you focus on the actual work instead of the plumbery (execution contexts, parallelism, error handling, console output, logging, …). Bonobo uses simple python and should be quick and easy to learn. Read the Guides to have a deep dive in each concept. Open the References and start hacking like crazy. Good documentation is not easy to write. Although all content here should be accurate, you may feel a lack of completeness, for which we plead guilty and apologize. If you’re stuck, please come to the Bonobo Slack Channel and we’ll figure it out. If you’re not stuck but had trouble understanding something, please consider contributing to the docs (using GitHub pull requests). This section is being rewritten for Bonobo 0.6, and it’s now in a “work in progress” state. You can read the tutorial for the previous version (0.5). Please note that things changed a bit since then and you’ll have quirks here and there. You can also read the migration guide from 0.5 to 0.6 that will give you a good overview of the changes. Hopefully, this document will be updated soon, and please accept our apologies about this doc status until then. Next: Part 1: Let’s get started!